Mud is a slimy or sticky mixture of soil or other fine-grained earth material and water. It's often a suprisingly useful material. Animals use mud to build shelters, obtain nutrients, and protect their bodies. Children often enjoy playing with and in mud. In some places, humans build their homes from the material. Some people apply mud packs to their body for the purported health or beauty benefits. Mud is not always so benign, however. It can make surfaces slippery and dangerous for travellers. 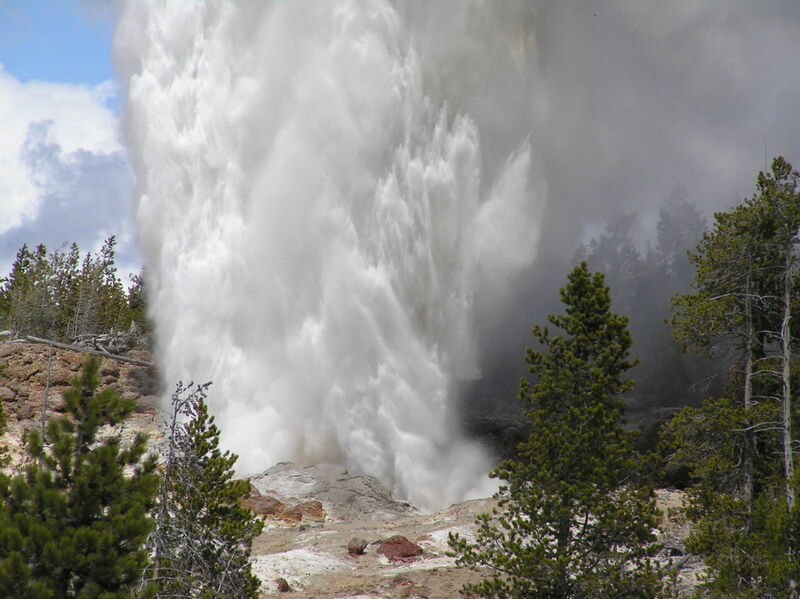 A large and rapid flow of the material can destroy life and property. In Indonesia, the Lusi mud volcano has been erupting since 2006 and has destroyed life and villages. Scientists predict that it will continue to erupt for twenty-five years or more. Mud is a mixture of soil and water. The term "mud" isn't used unless the mixture is significantly thicker than pure water and has a slimy or sticky consistency, as shown in the photo above. The consistency depends on the contents of the soil as well as the amount of water that's been added. According to the University of Hawaii, a typical soil contains 45% minerals, 25% water, 25% air, and 5% organic matter. 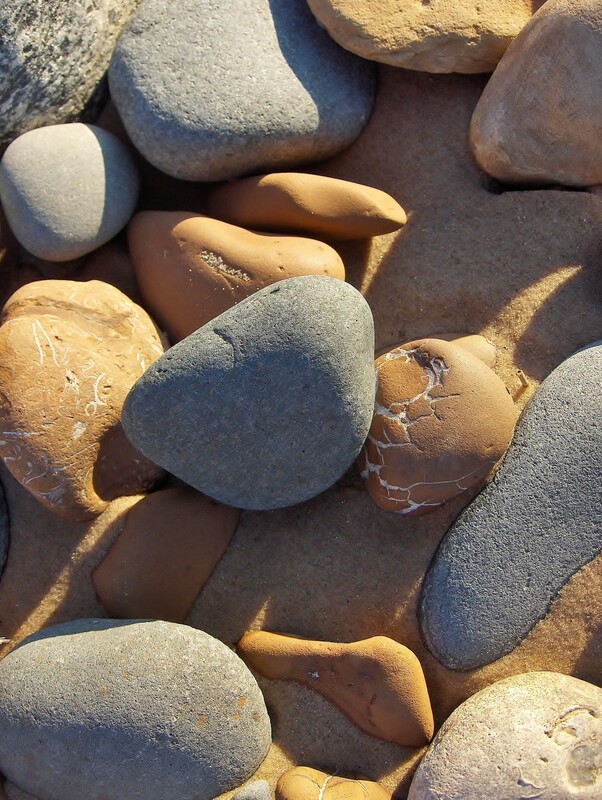 The minerals consist of sand, silt, and clay, which differ in particle size. 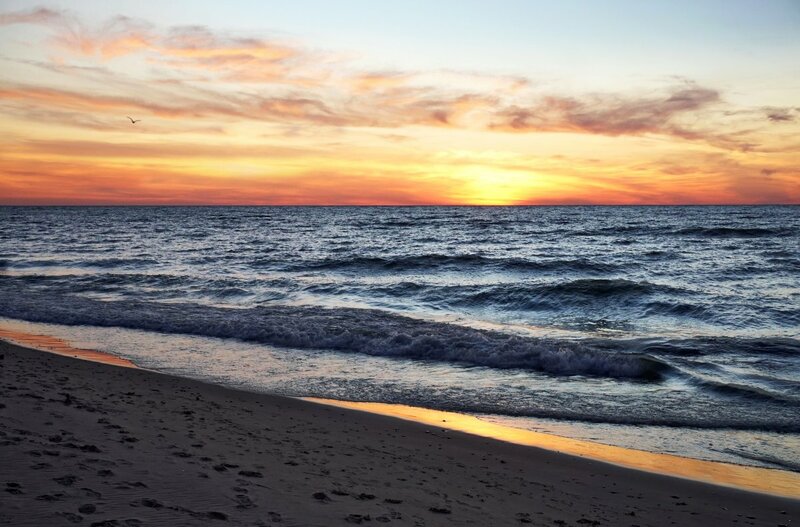 Sand has the biggest particles (2.00 mm to 0.05 mm), clay has the smallest (less than 0.002 mm), and silt particles fit in the middle with respect to size. The clay particles produce the sticky consistency in mud. The higher the clay content, the stickier the mud. Gumbo soil has such a high content of clay that it becomes sticky with very little addition of water. Mud runs are becoming popular events in some places. There are risks to participating in one of these events, however. Mud is slippery. In addition, there is a danger of infection from mud that enters wounds, the eyes, or entrances to the body. This is especially true if the mud is contaminated with animal dung or urine or human body fluids. 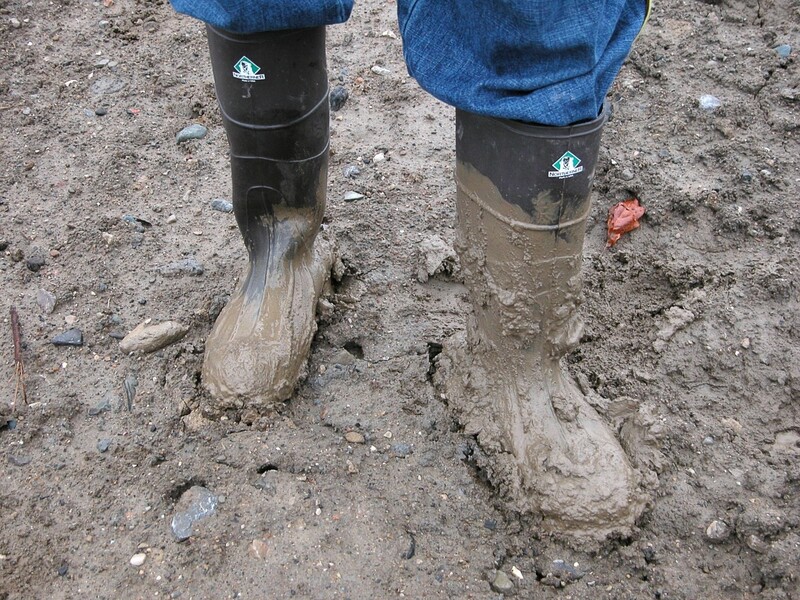 Since mud has a higher liquid content than soil, it has a tendency to move under certain conditions. The term "mudflow" refers to this movement, as defined by the United States Geological Survey below. The organization says that the term "mudslide" for a downhill movement of mud is not technically correct, though it's often used by the media. It's used by some insurance companies, too. A homeowner should check how their company defines the terms and make sure that their policy covers damage from both mudflows and mudslides if these terms refer to different processes in the policy. Mudflow: a general term for a mass-movement landform and process characterized by a flowing mass of fine-grained earth material with a high degree of fluidity. The Lusi mud volcano has been characterized as "the world's most destructive mud volcano". The name Lusi is a contraction of two words—lumpur, which is the Indonesian word for mud, and Sidoarjo, the city on the island of Java near where the eruption is occurring. The eruption is also known as the Sidoarjo or the Lapindo mud volcano. The eruption began on May 29th, 2006, and killed thirteen people. The deaths were due to an explosion of an underground gas pipeline. The explosion is thought to have been triggered by the eruption. The mudflow has destroyed whole villages, including schools, mosques, businesses, and the dwellings of many thousands of people. The number of people reported to have lost their homes varies according to different sources, but it's between 40,000 and 60,000. The mud deposited by the eruption is up to 40 metres thick. Mud is still flowing from the volcano today, though at a reduced rate. 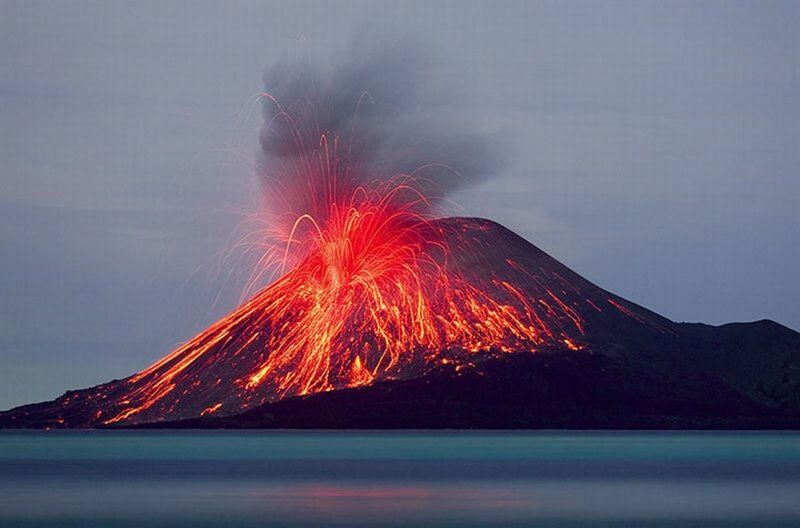 Scientists say that it will continue to erupt for many years to come. The mud consists mainly of a mixture of clay particles and water. The cause of the mud eruption is unknown. Two theories attempt to explain the event. One involves a natural cause. On May 27th, 2006—just two days before the eruption— an earthquake with a magnitude of 6.3 on the Richter scale occurred 260 km away. According to the theory, vibrations from the earthquake liquified underground mud, forcing it to rise under pressure. The mud is located in the Kalibeng Formation, a notable feature of Java's geology that is rich in clay. 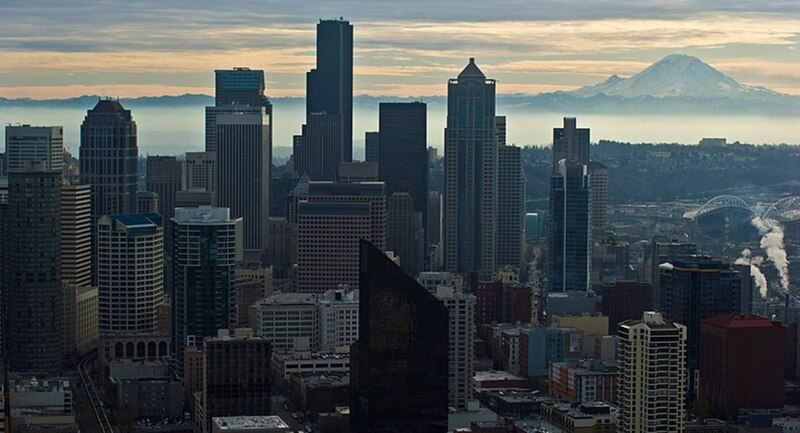 Some researchers think that the earthquake was located too far away and was too weak to have much of an effect, however. The second theory puts the blame for the eruption on humans. A gas exploration well was being drilled just 200 metres away from the site of the mud eruption. The well was 2,834 metres deep. Unlike the first section of the well, the last 1,743 metres weren't surrounded by a steel and cement casing at the time of the eruption. According to the theory, water from the bedrock flowed towards the bottom section of the well with such a high pressure that it created cracks in rocks or made existing fault lines bigger. As it flowed, it met the mud in the Kalibeng Formation, forcing it up to the surface through a fault line. As the time of the eruption's first appearance retreats further into the past, it's becoming less likely that researchers will identify the cause of the event. 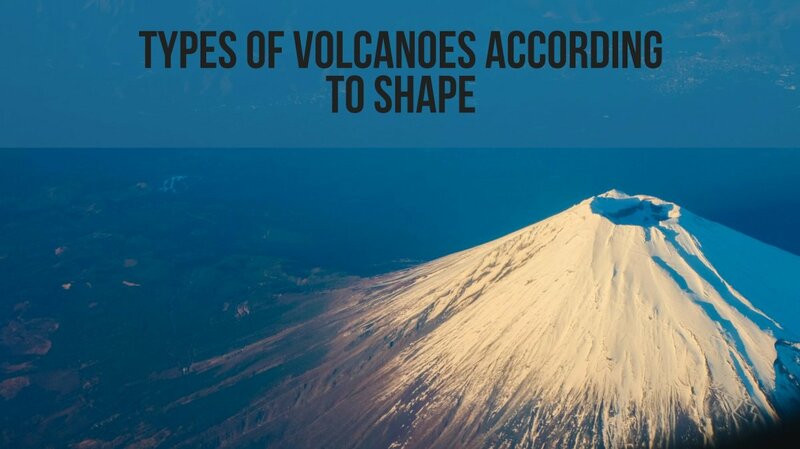 Understanding the reason for the eruption might help us to better understand natural processes in the Earth or the ways in which we affect them. Life is said to be financially hard for many of the people displaced by the mudflow. Some have finally received compensation after many years of wrangling by the powers-that-be. The gas company has denied any responsibility for the eruption and says that the earthquake was responsible for the event. The government has now become financially involved in the compensation. According to one report (referenced below), many of the affected people have used the money to pay off the huge debts required to set up a new life and haven't become rich from the compensation. Some earn a small amount of money by acting as tour guides for the mudflow. Some of the mud around the main vent has sufficiently hardened that it can now be walked on. Smaller vents have appeared. Tourists visit the area to walk on the mud and take photos. Statues of people partially submerged in the mud are a poignant reminder of disrupted lives. (The statues can be seen at the end of the first Lusi mud volcano video in this article.) Sights of protruding roofs and mud spurts from the ground attract visitors. A university study has found that the mud entering rivers contains heavy metals, which could be affecting people far away from the eruption site. Fish caught for food may be absorbing the metals, as they have done in other polluted areas. This in turn could affect the health of people who eat them. Many animals make use of mud in some way. They live in it, catch their prey on it, build their home with it, or coat themselves with it for protection of some kind. Some specific examples of how animals use the material are described below. 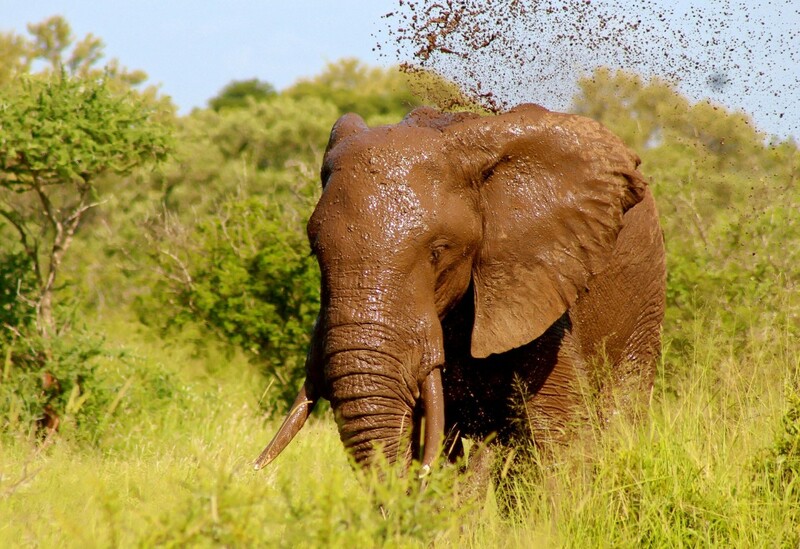 Elephants appear to love wallowing in semi-liquid mud, which cools them down. The mud coats their skin and acts as a sunscreen. The coating also provides protection from biting insects. Some butterflies engage in a behaviour called mud-puddling. They land on mud (or another moist substance such as fresh dung) and drink fluid in order to absorb its minerals and perhaps other nutrients. The insects sometimes gather on mud in a group. Males appear to mud-muddle more than females. Mudflats or tidal fats are flat areas of mud deposited by the tide of the ocean or by a river. They are home to many burrowing animals, including worms, clams, and crabs. The animals breathe through a tube extending to the surface of the mud. 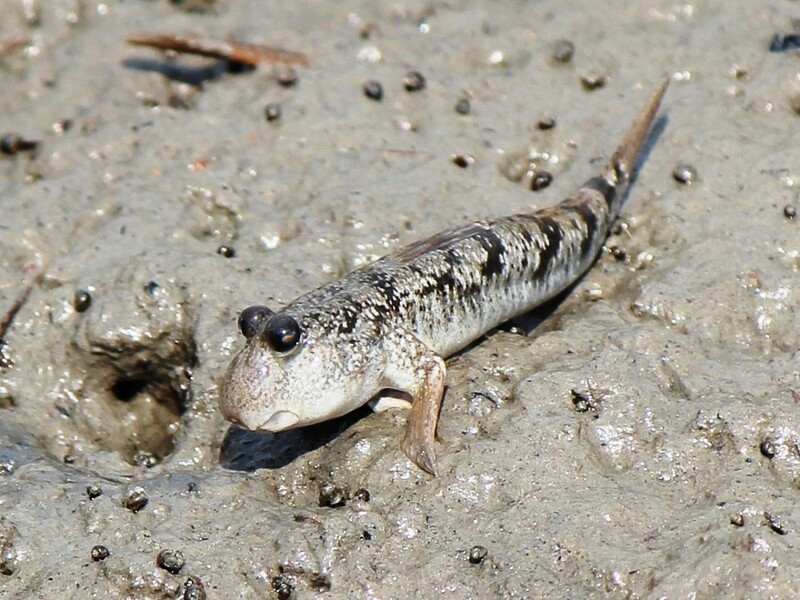 Although mudskippers are fish, they are able to obtain oxygen and move on land and spend much of their time there. They not only build a burrow in the mud but also move over it to catch their prey, which includes worms and crustaceans. 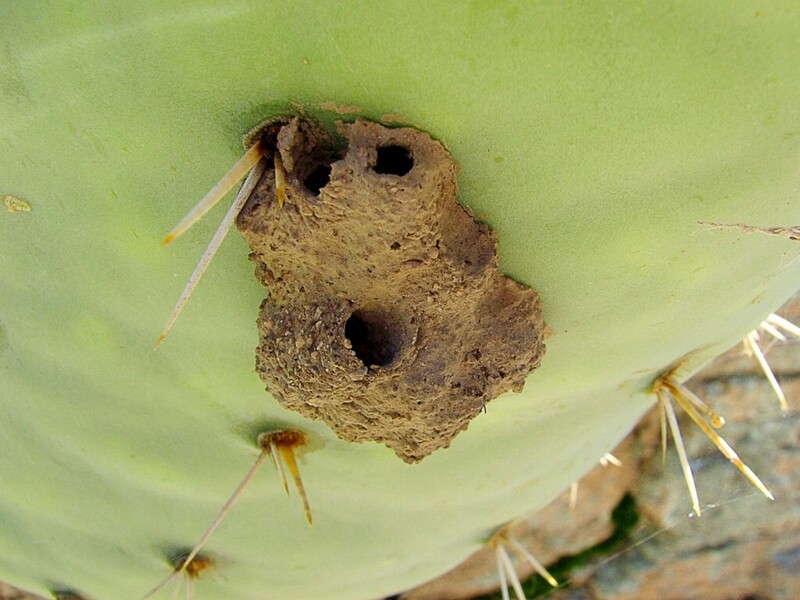 Mud dauber is the general name for multiple species of solitary wasps that build their nests from mud. The female collects the mud with her mandibles. The barn swallow is an example of a bird that builds nests made from mud. It comes to the ground to gather mud and grass for the nest construction. The bird almost always builds its nest on structures created by humans. One thing that has occurred to me and probably to many other people is whether human dwellings made of mud can withstand rain. From what I've read, a mud building can often withstand light rain following by a drying out period but not a heavy or continuous downpour unless it's protected in some way. Some mud buildings have existed for hundreds of years, so the material can obviously be resilient in the right circumstances. 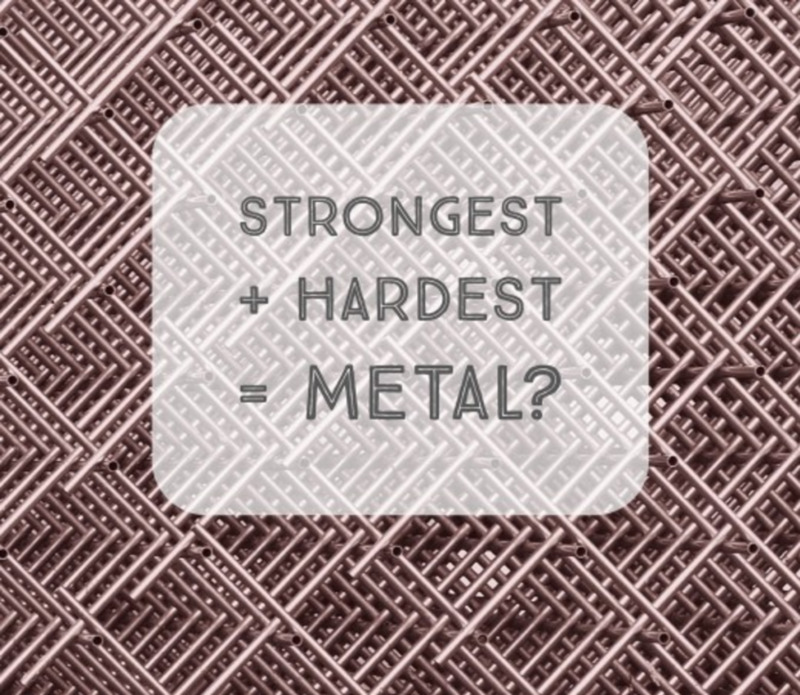 The proportions of different minerals in the mud as well as any other materials in the bricks, such as straw, play a role in building resilience. So does the way in which the bricks are dried. Some modern mud buildings have a foundation and/or deep, overhanging eaves made of another material to protect the walls. Another aid that's used is to add a little bit of concrete to the bricks (where it's available). The ways in which humans and animals use mud are interesting. The material has a dark side, however. The destructive power of anything other than a minor mudflow should never be underestimated. Hi, Peggy. Mud can certainly cause a lot of problems. It's worrying when the problems are potentially dangerous for humans. Those people in that first video are truly fortunate that they vacated that area and were in their boats when that mud flow started. This was an interesting article. Here in Houston we are constantly knocking off the nests of mud daubers on the outside of our brick. Mud is certainly a versatile material! Thanks for the comment, Mary. Linda, I have never thought about mud having all those substances. I remembered having fun in it as a child. I am aware of its destructive power in volcanic eruptions but so clueless about the other effects it bring. I do hope the research gets support. Hi, Patricia. Mud can definitely be fun as well as dangerous! Thank you very much for the angels. I always appreciate them. Thanks, Dale! I appreciate your visit. When you see a Hub about mud, you just have to read it. Well done with this one, you made the topic interesting and, thanks to some cool videos, you made it entertaining too. Thank you very much for the comment and for sharing the important warning, Ann. When I lived in Britain, one of my uncles and his family lived in Burnham-on-Sea for a short time. I wish I had visited my relatives at that time and that I had explored the area. I would have been careful on the beach, though! Great hub, Linda! We have dangerous mud-flats on the beach in Burnham-On-Sea; they are randomly placed and not everyone is aware of the difference between sand and mud. They are referred to here also as 'sinking sands' and many have died as a result of ignoring the abundant number of warning signs on the beach and its surroundings. You can see the blackness and stickiness of the mud areas which are more frequent as one walks out to sea. Here the tide range is huge, the terrain is flat and the waters come in rapidly. It can be extremely dangerous. Many seem to think it would never happen to them and I've seen adults with children wandering over such areas! I do tell them, at the risk of being told to mind my own business - I'd rather save a life than be bothered about a parent's aggression. This is instructive and fascinating. Thank you for sharing your knowledge and your talent for conveying it in an interesting way. Thanks for the comment and for sharing the interesting information about mud treatment for horses, Nancy. Hi! So, I clicked on this article because of the elephant photo, Lol! But I did learn something, which is about the mud daubbers. I've seen those around here, but didn't know that wasps were in them. I have used mud as a way of reducing swelling on horses' legs years ago, and it seemed to work, so I can see how the content of the various minerals could be a benefit in a wide range of applications. Hi, Catherine. I've never had a mud bath. It must have been a very interesting experience! I never gave a lot of thought to mud, but you have really covered the ground pretty well (Pun intended.) I visited Costa Rica and they had a tourist attraction that was a mud bath. It was an eerie feeling trying to move around when you are up to your neck in mud. We got to spend about five minutes in the mud, long enough to get our pictures taken, and then we walked down to this lake, and spent 20 minutes trying to get the mud off. Thanks, Devika. I appreciate your visit and comment. Animals use mud to protect their bodies. You have enlightened me on another interesting topic. I found your hub informative and interesting. You shared what you know and informed us greatly. Thank you for the comment and for sharing the interesting information, Larry. I've never heard about the use of mud that you describe before. That is a very interesting article, Linda. Something as simple as mud can make a great story. I never knew about the mud volcano, that is fascinating. Yes, many animals use mud in their lives. When I was a child my mom and others in our area applied mud to bee stings. It did take down the swelling and soothed the pain of the sting. Thanks for sharing, Linda. Hi, Heidi. Yes, soil is more complex than many people realize! Thanks for the kind comment. When I was doing a lot more gardening, and reading about it, years ago, I was shocked to learn what "soil" actually is. It's one of those things like trying to explain what air is. These things are all around us and seem so simple, when in reality they are quite complex, just as we are. Thanks, as always, for sharing your wealth of knowledge with us! I agree, Dora. 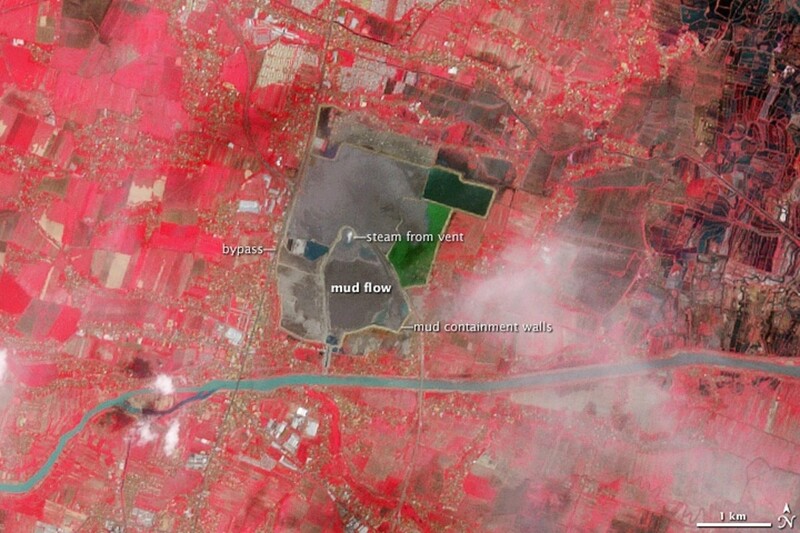 The cause of the mudflow does give us a lot to think about. The consequences of the eruption were serious. It's interesting that mud has benefits as well as dangers, though. Hi, Kari. Yes, I feel very sorry for the people affected by the mud, too. Their lives must have changed dramatically. The blame placed on humans as well as on nature for the mud volcano gives us some serious study. Also concerned about the contamination of rivers and fish. Brought to my memory a woman who ate mud whenever she was pregnant. There must be some good mud somewhere. Wow, a mud volcano, I had no idea. Those poor people losing everything! Hi, Jackie. Thanks for the visit. I was thinking about mentioning mud pies while I was writing the article! I don't remember making them when I was a child. I used to love walking in mud, though. Very interesting. Those poor people out so much too, I am sure the compensation is not near enough. You covered everything but mud pies I think. We most have tried a bite of those haven't we? Well us dummies have anyway! Hi, Flourish. I worry that the way in which we're treating the Earth is setting us up for problems, too. It's interesting and a bit scary to read about the infections that people have picked up from mud runs. I can understand their attraction, but I wouldn't want to participate in one. Thanks for the comment. I had never heard of a mud volcano and wonder whether all the fracking that we are allowing might be setting us up for more such disasters. Also, my husband has participated in those mud runs (tough mudders) but with that health warning I’m going to encourage him not to do so anymore. Yuck. Great research here, Linda! Hi, Bill. I appreciate your visit. Thank you very much for commenting.